Only 15 mins drive from our luxury holiday Cottages in North Cornwall is the highest point in Cornwall known as Brown Willy. For centuries people have roamed and lived on the moors eking a living from the land. Others have benefitted from fabulous views taken at the top of the tor having trod the public right of way to Brown Willy on Bodmin Moor, one of the most iconic and rugged spots in the South West of Britain. On the face of it Brown Willy does not conjure up romance and poems, however, the name derives from the Cornish words Bronn Wennili, meaning “hill of swallows”. 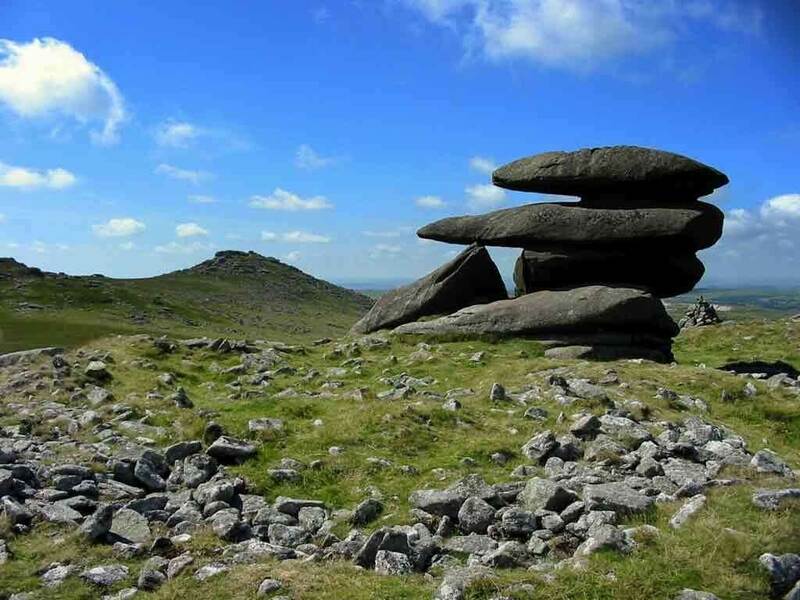 At the summit it features two manmade cairns offering far reaching views across much of Cornwall. Looking down from the tor, remnants of Medieval field patterns and old settlements are still visible. There are also pockets of woodland which provide a habitat for woodcock and red, fallow and roe deer. Fortunately, for guests staying at the luxury holiday cottages in Trelash, the sale of Brown Willy and its surrounding land will not affect the public right of way to the tor. Owners of The Cottage, Jacqueline Bolt and Meadowview Cottage, Debbie Bolt highly recommended to their guests a tramp over the moors to the tor or, to Brown Willy’s neighbouring tor, Rough Tor. For some, tracing the trail may be too challenging during hot summer days, however, trekked out of season in the Spring or Autumn the walk can be particularly rewarding with few other walkers and cooler days.